Import should be used if you have PDF, chord pro, or text files that you want to import into the app. Open the app on your device and go to the “Songs” list. Tap the button in the bottom right with 3 vertical dots. This is the recommended way to import your files. If you import your files from Dropbox you can easily pull them down to another device including Android devices. See Update Dropbox Files for more details. After you select Dropbox you will see the Dropbox File Browser shown below. Check the files that you want to import then tap “Import” in the upper right of your device. When you tap import a view will appear that will show you the status of the import. When you import files from Dropbox the file path will start with [DROPBOX]. The last part of the path is the Dropbox path. You can see this by going to Songs. Tap the circle on the right side of the song. Scroll down to “Document Location”. Click the Add… button and add a folder from your PC or Mac that contains chord pro files or text files. To export lyrics tap the button with the 3 vertical dots at the bottom right of the Songs list. Choose “Export”. After you do this all your songs will be exported to chord pro in a folder called “exportedChordPro”. You can find this folder by going to File Sharing in iTunes described above. You may notice that you already have this folder. Every time you Sync the app will export your lyrics. 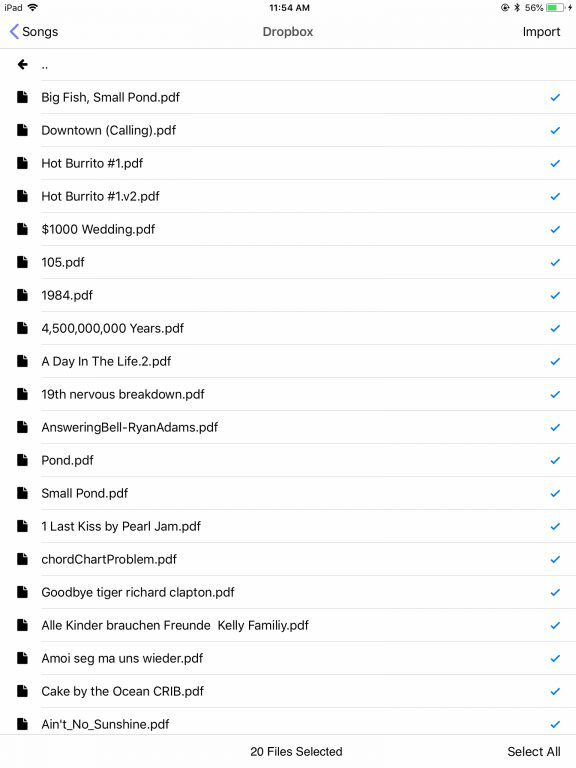 This is one way of backing up your lyrics only. 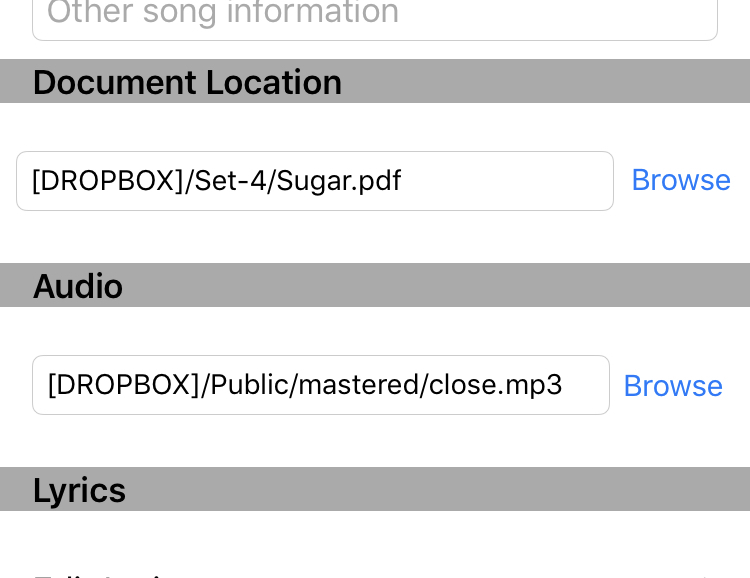 After you export the “chord pro” files you can send them to another user that has Setlist Helper to import.